As of now, Luke Walton is still the acting Los Angeles Lakers’ head coach. But, as per the reports, the Sacramento Kings may appoint him as their new coach after they have surprisingly fired Dave Joerger despite a solid 2018-19 campaign. Some reports have claimed that the Kings seem to have interested in appointing Walton as the coaching change. 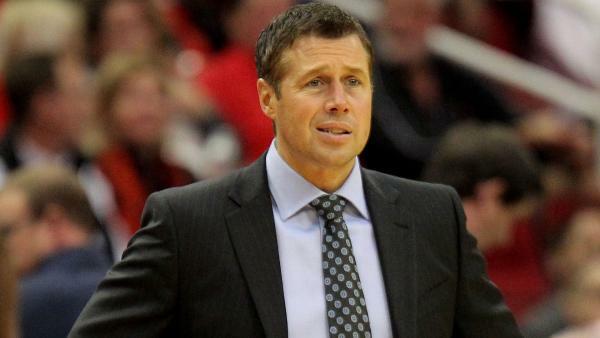 The above came from NYTimes’ sources just hours before the Kings ultimately fired Joerger. Per the Basketball-Reference, he went 98-148 in three seasons, but the team improved from 27 to 39 wins in the last season. The Athletic also stated that Walton is the clear frontrunner for the post that became recently vacated. Sam Amick also tweeted that there could be a few more strong candidates for the job. It includes former New Orleans Pelicans head coach Monty Williams and San Antonio Spurs assistant coach Ettore Messina. In the meantime, the LA Lakers are still yet to make the final decision on Luke Walton. Walton’s job security as head coach has been in jeopardy since the 2018-19 NBA season, as per the reports. ESPN’s Ramona Shelburne said that former Lakers president of basketball operations Magic Johnson and Walton couldn’t come to a meaningful decision that eventually lead to Johnson’s announcement of stepping down from his post. Keeping the above rumor mind along with the previous comments of Lakers owner Jeanie Buss in which she deferred to Johnson and GM Rob Pelinka with regard to Walton’s future, Shelburne also added that it is a clear sign pointing to the imminent firing of Walton after a 3-year stint that yielded no playoff appearances. The 2018-19 season of Lakers ended with a 37-45 record. The score marked a 2-game improvement over their previous season. But, they appeared as a major disappointment, but were largely seen as a major disappointment in the light of the team’s acquisition of 4-time NBA MVP LeBron James in July 2018. Irrespective of the scenario in which Walton replaces Joerger or not, the Sacramento Kings will be having a promising young roster in the 2019-20 NBA season. Starting guards De’Aaron Fox and Buddy Hield witnessed their career-best seasons in 2018-19 session. Besides them, last year’s No. 2 overall draft pick, Marvin Bagley III, also made some good score, averaging 14.9 points and 7.6 rebounds and shooting 50.4 percent from the field. According to Silver Screen and Roll, the Kings also have a lot to spend on prospective free agents, with $36 million in cap space — this is a figure that could increase to about $60 million if forward Harrison Barnes declines his player option and enters free agency this summer.